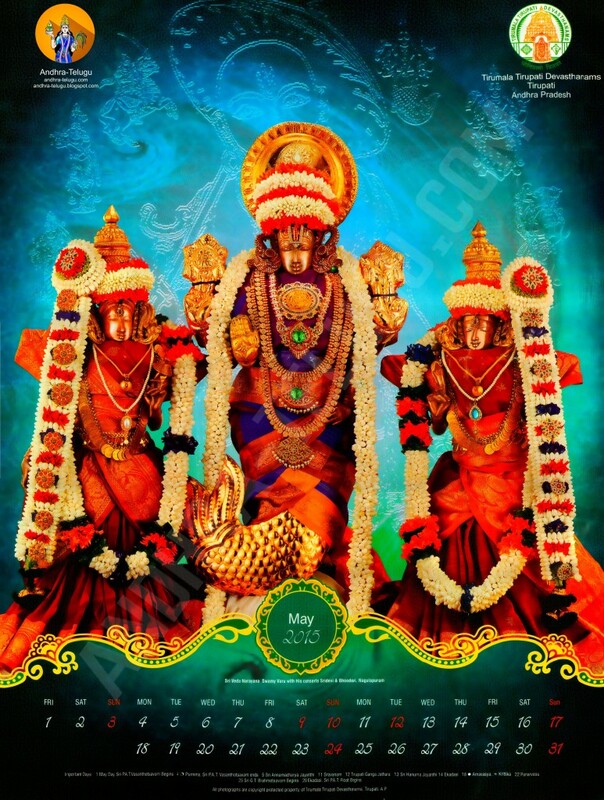 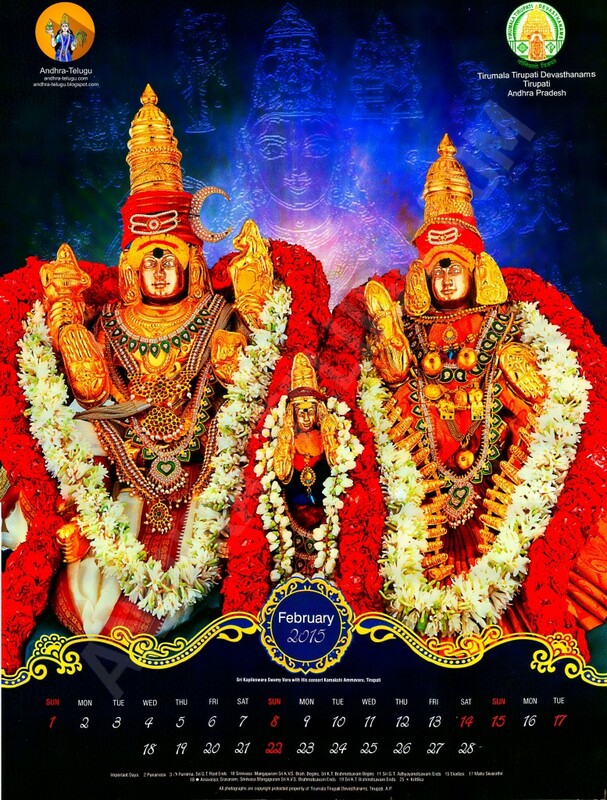 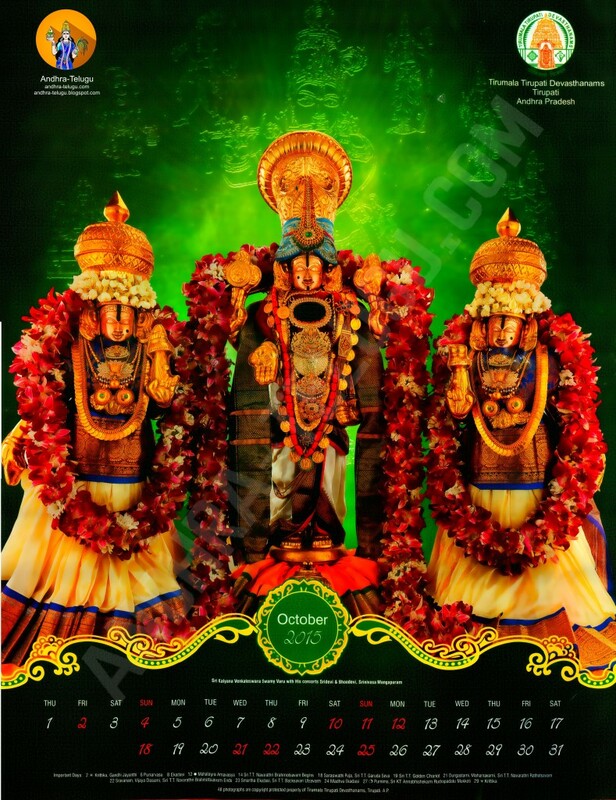 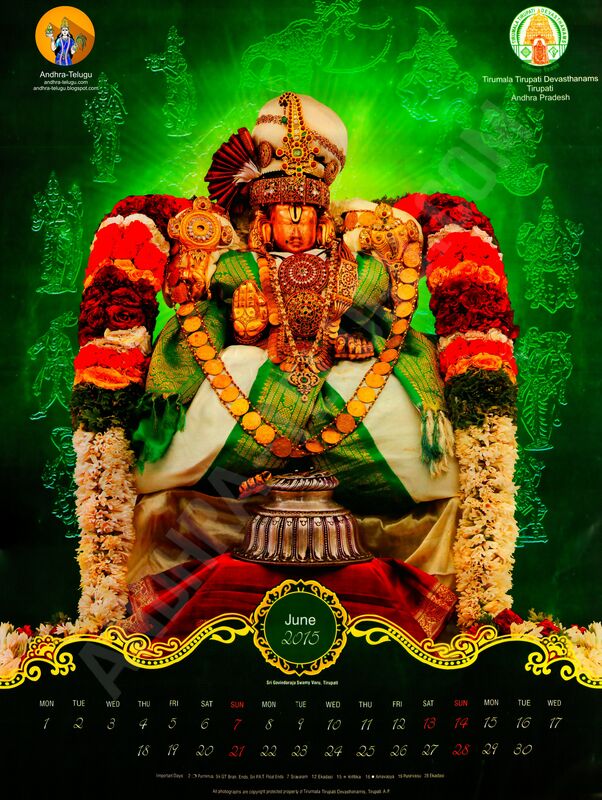 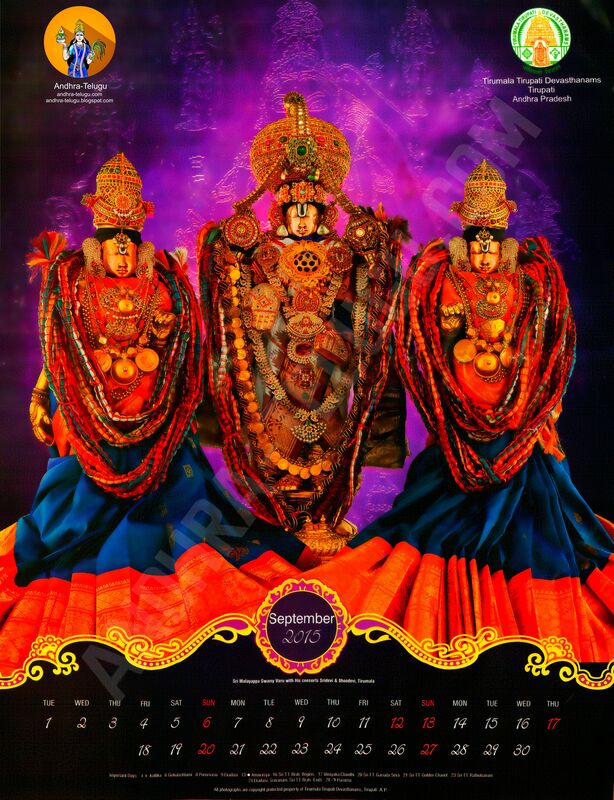 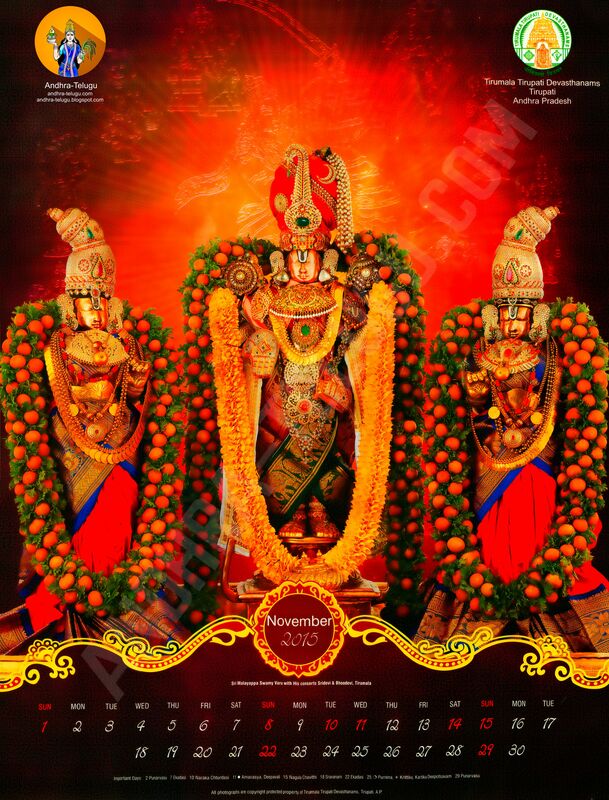 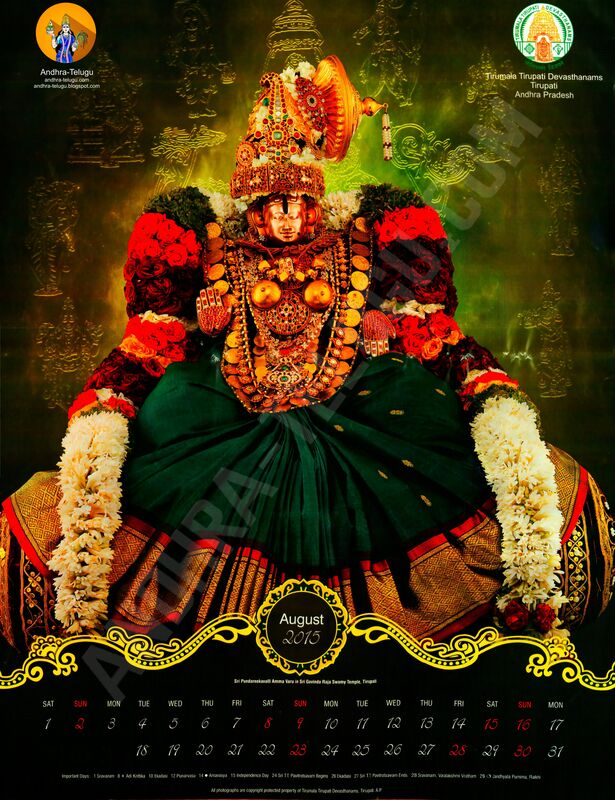 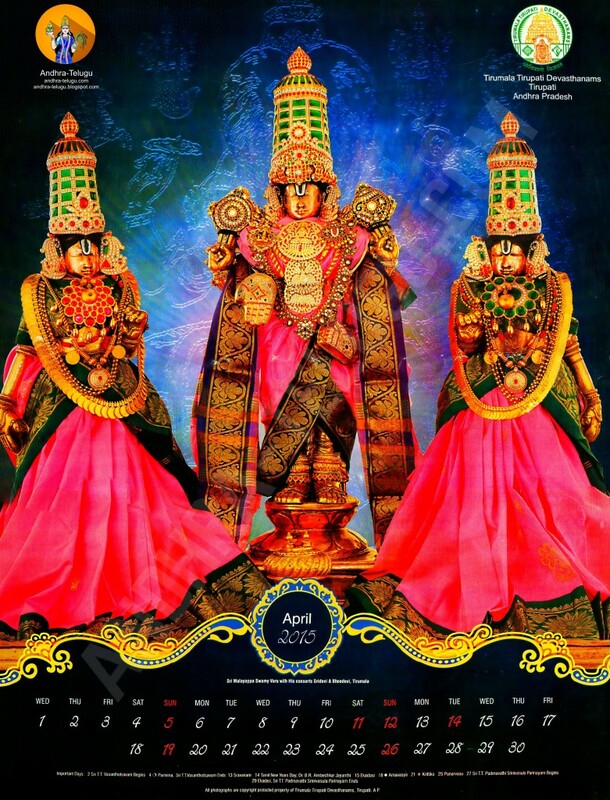 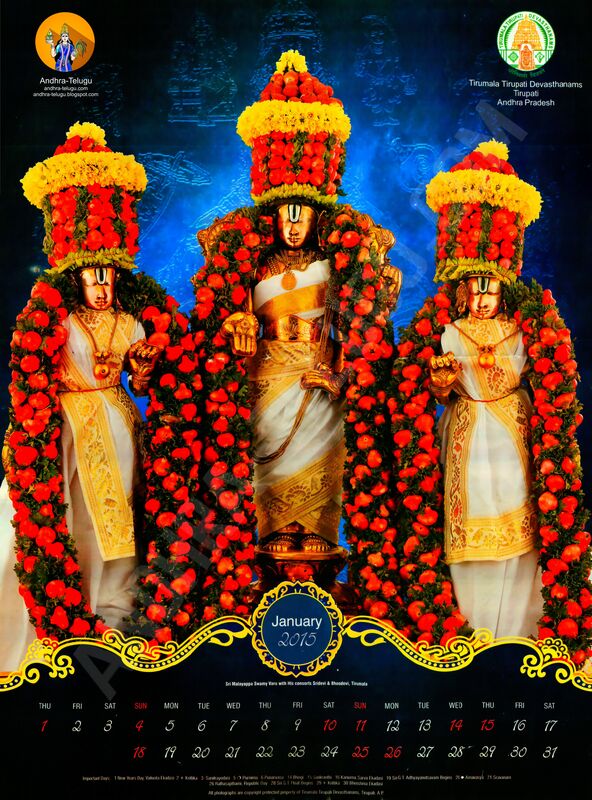 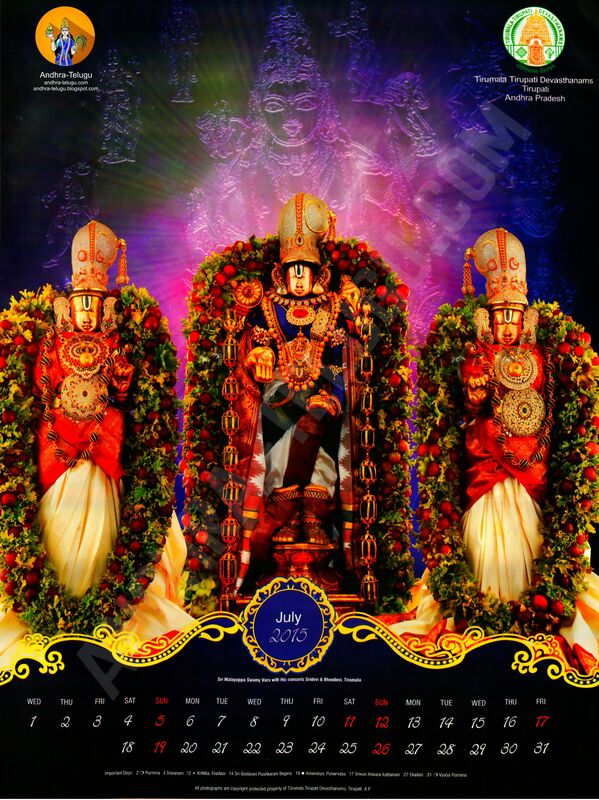 The 2015 Tirumala Tirupati Devasthanams calendar is now available on this site. 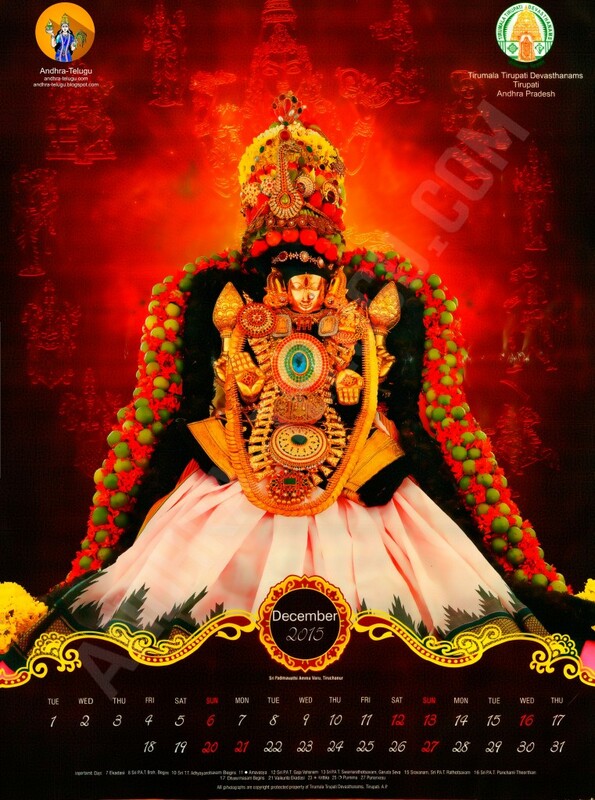 Please click the images to open a higher resolution image. The images are very large, so they may take some time to load.